As a freelance writer, I always conducted my business exclusively via the Internet. I still do. There are still plenty of people doing the local, in-the-flesh freelance creative gig. That’s fine and the Internet as a marketplace doesn’t invalidate that way of working, and it’s good that we get to make choices in this area that suit the way we like to work. While good communication forms the backbone of all sorts of businesses, we’re going to approach the topic as relevant to the online business, where communication can be treated very differently. Running an online business allows you to choose how communication is done, as simple a thing it may seem from a distance. Communication is the thing most businesspeople, including freelancers, end up spending most of the day on. Thus it’s important that you know how you want the communication to happen, how much of it you want to be doing, and how to make sure that communication is both efficient and effective by developing a skill for only communicating with clarity and purpose. Though I have worked outside of the house just to get away from the monotony, I’ve never taken on work that required me to be anywhere specific, and I have to admit that I spoke to someone who was a client when I was in the process of becoming their employee, but the above list is still technically true! Here’s why: I decided what kind of business I wanted to run (a web-based business that allowed me to work close to the family, on my own time) and how I wanted to communicate with clients (via email or occasionally IM, obtaining information in the most effective and least time consuming way). I chose this means of communication because I didn’t want to waste half the day in meetings or talking to clients on the phone as both of these things are known timesinks and are rarely useful. This means I had to choose work that suited this style of operating and develop a brand and niche around that style. Writing articles for the web (particularly in the social media optimized niche) just so happens to be work that suits my style, and I did well at the job and in the business. Basically, there is no need for long real-time communication meetings, such as those a web designer might need to carry out with a client in order to plan the right site for the job. An article idea can be pitched via email easily, or the client could just give me a schedule and ask me to have articles based on ideas of my own choosing by that time. So the first step in running a business that suits your style of operating and communicating is, of course, not to choose work that doesn’t mesh with the way you want to do things. But you still need to make sure the communication is as good and solid as it can be within the boundaries you have set. Here are the three principles I used to ensure the communication was good enough for everyone involved without having to waste time on the phone. The subject of the medium involves choosing how the message should and should not be communicated. Everything else depends on knowing this. My aim was to eliminate inefficient, back-and-forth verbal communication in favor of clear, purposeful email messages, with the very rare IM chat available to clear up misunderstandings. My reason for this was that I wanted to spend as little time working as I could while still making a comfortable income, and the rest of my time with my wife and kids or doing something fun like having a beer with friends or playing a game. Verbal communication can literally double the amount of time you waste in a day, depending on who your clients are. At the start, my medium of business communication was defined by what it was not: verbal. Since defining something by what it is not isn’t very useful and most often leads to failure, I defined what I was going to use, as you can see above — email and occasional text chat. Finally, I feel it’s important to add here that many old-timers feel that you can’t run a business without verbal communication. It’s not true at all. Entire companies distributed individually around the globe are run on the backbone of well-crafted email communication and IM chat, and so was my little freelance operation. What is the effect that I want this communication to have on the recipient? Do you want them to take action on something? Feel or think differently about something? Learn something? If there’s no intended effect, there’s no point communicating. If you can’t articulate what that intended effect is then you have no idea what the purpose of your communication is. This way you can maximize the efficiency of your message by a) preventing unwanted mistakes because the recipient did not properly understand you, and b) preventing lots of back-and-forth which increases waiting times on information. I’m not trying to preach the benefits of phoneless freelancing — that little adventure just serves as an example of how thinking through these considerations can help you make your own ideas work even when other people think they can’t. 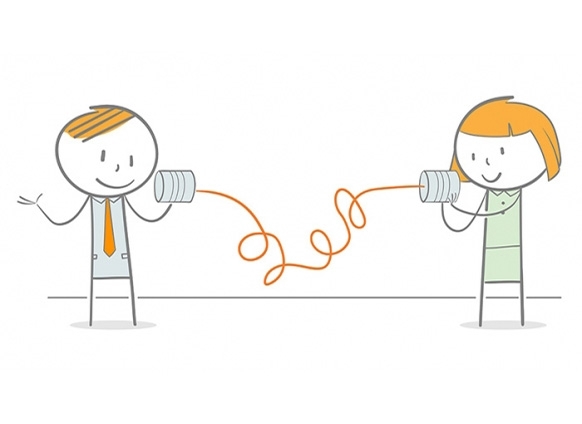 If your communications meet these criteria, you’re running an efficient business. Finally, don’t take the topic of communication for granted. I’m sure many readers will think, “who cares whether you use email or the phone?” — but as a freelancer you now have the ability to sculpt the career, workday and lifestyle you want. Use that freedom and power in every aspect of your life. Select the right medium for the message. If you want to eliminate a medium, eliminate work that depends on the medium. And eliminate back-and-forth with a clear initial message.